As children’s permanent teeth start to develop, our Springfield dental team wants to make sure they are aware of the importance of oral hygiene. Dr. Bill Schlosser is committed to creating a comfortable environment for children to receive treatment and undergo their routine examinations. 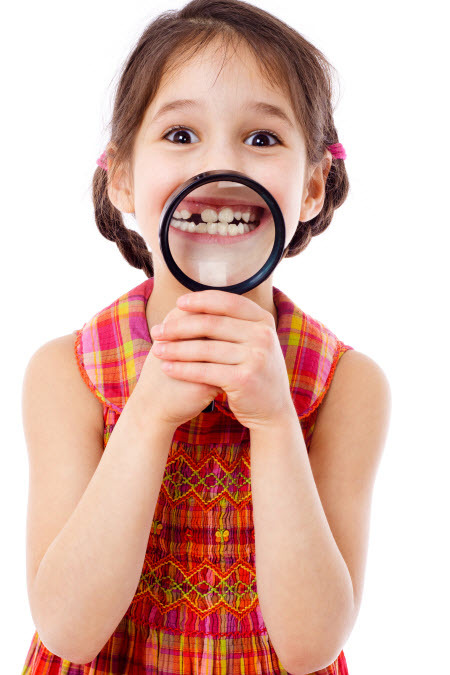 Our friendly staff believes taking a gentle approach with children’s dental care instills a trust that encourages your child to consistently maintain their beautiful, healthy smile into adulthood. Losing a baby tooth is a milestone and a sign that your child is beginning a new stage of life. At William T. Schlosser, DMD, Ltd., we use the loss of the first primary tooth as an opportunity to discuss the proper care for newly emerging permanent teeth. Our Springfield dental team believes in treating oral concerns early on before they become more complex issues. By educating your child about an effective at-home oral hygiene routine, we make sure we prevent common problems such as tooth decay. We are dedicated to maintaining and improving the dental health of your child through education about proper at-home care, healthy eating habits, and tips about effective tooth decay prevention (like sealants and fluoride). We suggest parents get involved early in caring for their child’s teeth and offering words of encouragement to keep them engaged in caring for a healthy smile. The two main oral concerns that many children face are tooth decay and premature loss of baby teeth. Tooth Decay- Dr. Schlosser and his staff are experts in communicating with children and parents about preventing tooth decay and the best course of treatment to address it, should it occur. The team has treated thousands of children, building trust every step of the way, answering questions, responding to concerns and using gentle care to ensure every experience in the dental chair is a positive experience. Cinemizer video glasses are available for patients of all ages, should they choose this form of entertaining distraction during dental procedures. Premature Loss of Baby Teeth – Early loss of baby teeth can occur for a variety of reasons, including injury, decay or dental infections (abscesses). Dr. Schlosser and his team recommend baby teeth be preserved as much as possible until they are ready to come out naturally. Healthy baby teeth promote full smiles, preserve the ability to eat nutritious foods, hold space for permanent teeth, maintain jaw structure and facilitate speech. Dr. Schlosser and his team are experts in the care of baby teeth and in offering appropriate options, should they require treatment or be lost for any reason. Our Springfield dentist takes a caring and gentle approach when treating young patients. Our compassionate dental team creates an inviting environment for children during their appointments. For more information about your child’s dental care, contact William T. Schlosser, DMD, Ltd., today.